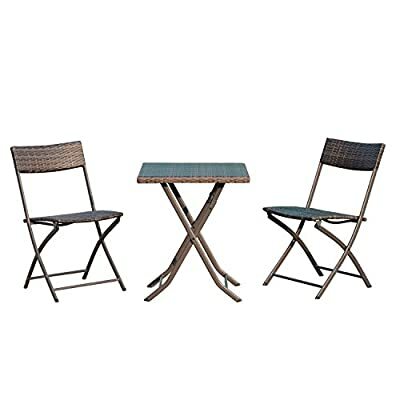 This 3 piece rattan bistro coffee set is a great solution for your garden, patio or balcony. Made with high quality metal tubing and covered with PE rattan, it will last for years to come. The set consists of 1 table and 2 chairs, a great addition to any home. The whole set can be easily be folded and stored away to create space when not in use, this set is not just useful but practical.